This year's blue day was really difficult for me. 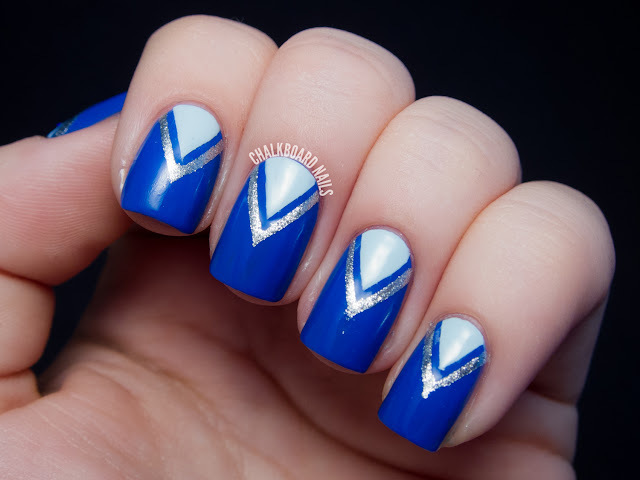 I was pretty disappointed in myself because I am so proud of the nails that I did for blue last year, but I really struggled to come up with something special and original this time around. I think I must have started and removed 6 manicures last night before eventually falling asleep on the couch, vowing to wake up early this morning & try to tackle the theme again. I ended up with a simple tape manicure. 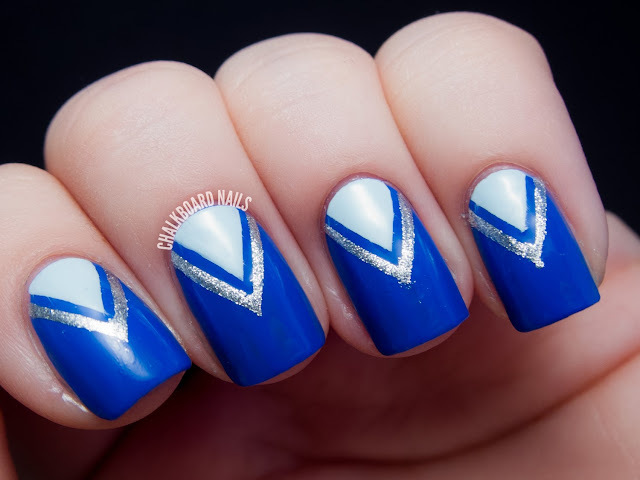 The base is Essie Butler Please, and the V shapes were created using Zoya Blu and Zoya Trixie. I used both striping tape and scotch tape to create the Vs. The way it came out reminds me of cheerleader uniforms! It's nice enough -- I think I am pretty hard on myself when it comes to the 31 Day Challenge. I also mattified the manicure using OPI Matte Topcoat. I love the way that Trixie's shiny silver flecks look when flattened, and Butler Please looks like awesome cobalt blue chalk. Days like this are when the Challenge becomes truly challenging. It's one thing to have an idea and have to work at it to get it right, but it's a completely different beast when you have no ideas at all! My blue nails from 2012! My blue nails from 2011! 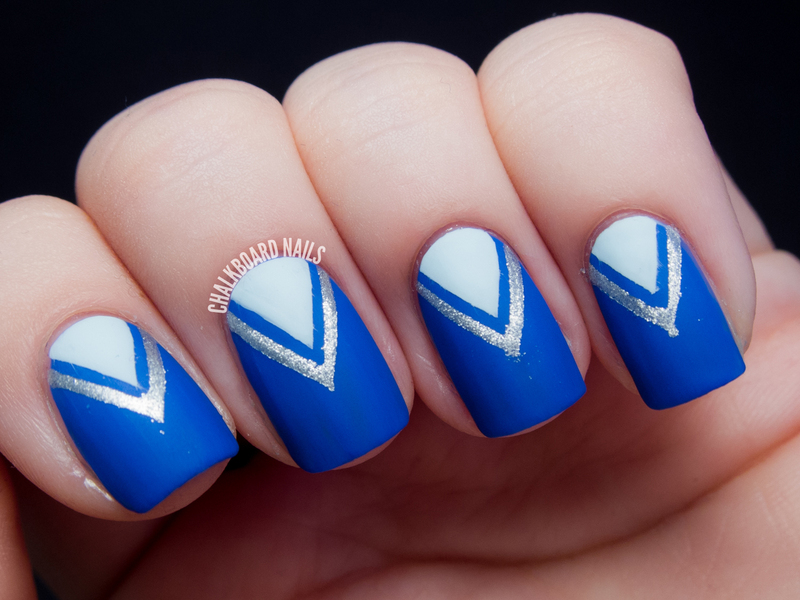 This is a great blue tape manicure! I love this with the matte top coat! 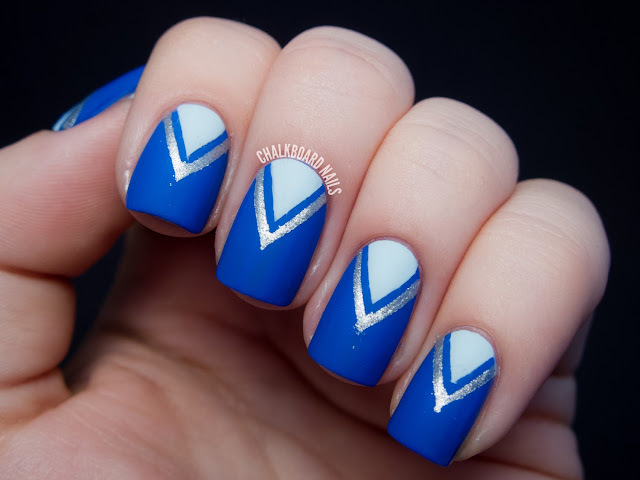 I love this design and that blue, wow, just gorgeous! Even on an uninspired day you create something perfectly stunning. I love the simplicity of this. That blue mattified is amazing. I know how you feel when looks dont quite come out or when you feel like you cant live up to yourself lol. 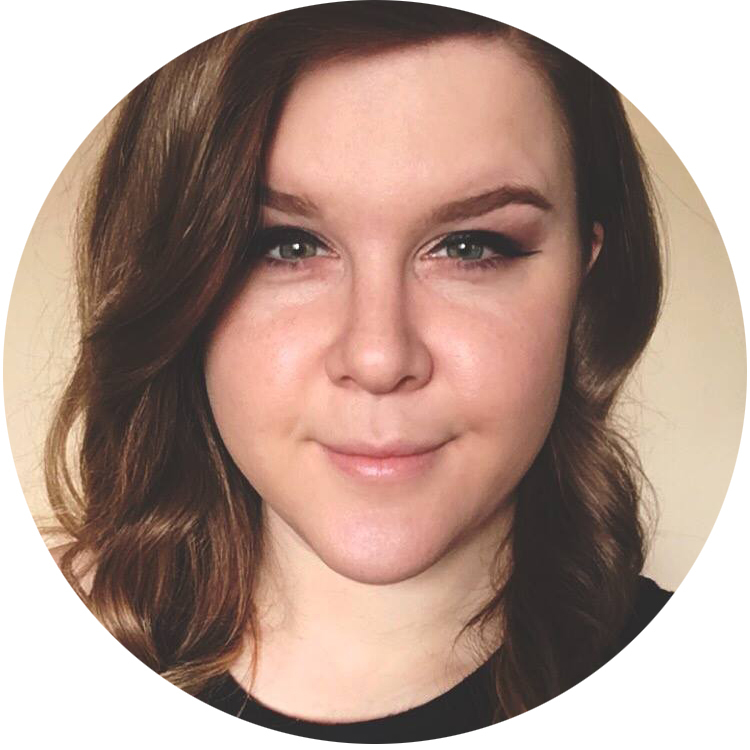 I keep looking at my looks from years past and wondering why I cant come up with things as cute this year haha. I'm excite for Purple though :D!!! Purple should be fun! And I love these BTW! Especially matte. omg it looks so amazing mattified! wow! It reminds me of Sailor Mercury :) Also it looks great with the matte top coat! I love this, especially matte! Love the matte look, my favorite!